The Dawes show scheduled for Tuesday, March 14th at the Academy of Music in Northampton has been postponed due to impending weather. The show will now take place on Friday, September 15th. All tickets purchased for the March 14th show will be honored for the new date. If you cannot make the rescheduled date or have any questions or concerns, please contact your point of purchase – the Academy of Music Box Office at 413.584.9032 x105 or Ticketfly – customersupport@ticketfly.com. Dawes has always bridged generations and genres, writing music you feel you already know, with a familiarity and a resonance that seems to echo from earlier times in rock’s great canon. It’s one of the reasons they have found great favor with classic rock artists such as John Fogerty, opening up for him, acting as backing band for Jackson Browne and Robbie Robertson, even appearing on Robertson’s album How to Be Clairvoyant. In 2013, they even opened for Bob Dylan for six weeks. But with their latest release, We’re All Gonna Die, it became clear that this was an opportunity for evolution. 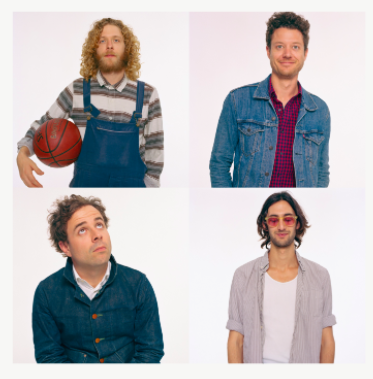 Dawes is not just a rock band, not just an alternative band, but a new band. One that maintains all the weird personality traits that their other records might have had, but that also brings them out even more.